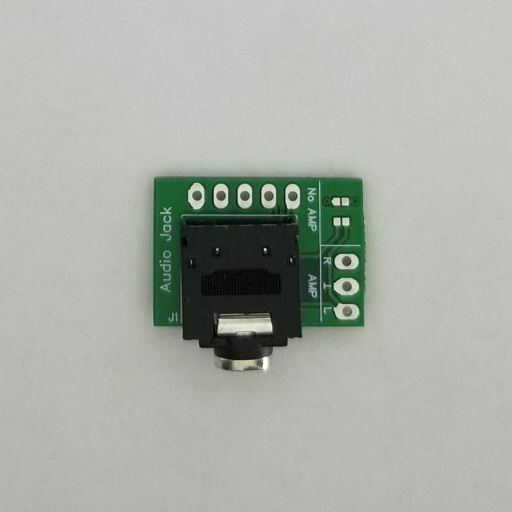 The Headphone Jack Breakout Board provides an easy means of adding external output to your Game Boy Zero build. The input pads align with the audio pads on the DMG Button Boards, but you don't need one of those to take advantage of this. Additional pads also make it easy to connect an amplifier, such as the PAM8403 2-Channel Amplifier.